If patience is a virtue, we are among the two most virtuous people to walk the face of the Earth. Our story, journey, saga, (insert any word you like to describe a very prolonged series of events) started in August 1999, when we decided that Reaching Out would be the agency through which we would finally realize our dreams of becoming parents through adoption. Those first few months were a flurry of activity. There was paperwork to file (boy was there paperwork! ), fingers to be fingerprinted, autobiographies to write, references to contact for letters, the home study to be completed, and on and on. All these activities consumed just about every waking moment of ours, on top of our full time job schedules and other obligations. Looking back from our current vantage point, those innumerable (and occasionally bothersome) tasks were actually the easiest part of the journey because they were clearly identified and there was an established time frame for them to get done. There is indeed something to be said for predictability, however boring it may seem. By October ‘99, our I600A form was filed. In November ‘99, we were notified that the INS was processing our paperwork, which would take 16 weeks, a long time but at least we knew when we could expect the approval. In December ‘99, our home study was completed with a favorable recommendation. It won’t be long now! Then came our first minor setback- we could not adopt from our first country of choice, Azerbaijan, due to political problems in the region (the Russia- Chechen conflict), which led to unsafe travel conditions. We took this problem in stride and moved on to our second choice, adoption of a child from Rostov, Russia. With the pace of the adoption activities at a lull, we prepared to enjoy the holidays with family and friends. By now, everyone knew of our plans for adoption and they were all excited; peppering us with questions about the timing of our baby’s arrival and other details. Our answer was always one of guarded optimism- probably some time in the spring of 2000. Things seemed to be going rather smoothly! It won’t be long now! According to the “Program Highlights” from our agency, the waiting time for a referral from Russia was about 3 months. That brings us to March 2000. Add another 4-6 weeks from the time we accept the referral to the travel date and we’re now in late April or early May 2000. Okay, we’re right on schedule for our anticipated Spring 2000 delivery! All we have to do now is wait for the referral and we’ll go from there. It won’t be long now! February passed, then March. We still hadn’t received our referral yet and we’d gotten a bit more nervous than usual. Something seemed to be amiss here. On April 20th, we received news that Russia had decided to change the laws regarding international adoptions. We had to make two trips to Russia now. The first trip was to receive the referral for a child. Then we’d return home and wait for about 2 months for the court date and travel back for that. We hadn’t planned on the additional trip but we also hadn’t used up any of our vacation time at work in anticipation of the adoption process, so we’d be able to work in the extra trip. The new process represented another setback. We had to adjust our child’s expected arrival date again, but it won’t be long now! On May 13, 2000 we were on board the Aeroflot flight from JFK to Moscow. By the end of a very long day, we found ourselves in Rostov-On-Don. We were there with 2 other families to receive our referrals under the new laws. The new process, still under development, was explained to us. We’d meet with the Education Minister to get a referral. Then we’d go to the orphanage to talk with the Orphanage Director and Doctor, and meet the child. If all went well, we’d accept the referral and file the acceptance in court. Then we’d return home and wait for the court date and the second trip. Our first referral was a little girl. Her medical history was very poor. The information on her parents was equally distressing. We were hoping against all odds that she’d be healthy enough for us to take. Sadly, that was not the case. Based on our interaction with her, the medical information, our observations, and after consulting with our doctor here in the States by fax and phone, we simply couldn’t accept the referral. We were crushed, but we were still had another 4 days in Rostov and hoped we’d get another referral quickly. We were informed that the Education Minister was out of town for the rest of the week, and she’s the only one that gives out the referrals. We were lost. What would we do now? It was arranged for us to see the Education Minister’s supervisor. He was able to provide us with another referral. This second referral had many more serious health problems than the first baby. We sadly rejected this referral, as well. We were down to our last day’s stay in Rostov and still had no referral. We couldn’t help but think why this was happening to us. The other 2 families with us had received wonderful, healthy referrals and accepted them. We extended our stay through the weekend and into the following week for another try at a referral. The third time was not the charm, either. Something just was not right with the baby, a cute little boy. We agonized over the decision, but in the end we had to pass up this referral, too. We were too emotionally drained to go on, so we decided to return home to New Jersey and regroup. The flight home was the longest of our lives. A trip that started out with the highest of optimism ended in our deepest despair. But in the back of our minds, we both knew that God was guiding our destinies and this trip simply was his way of telling us that our baby was not there in Rostov at that time. It was going to take longer than we thought! The day after our arrival back home, we spoke with our agency. Our initial thought was to take another trip to Rostov once the new laws and procedures had some time to settle in, and try for another referral. We were informed that the Azerbaijan program had just reopened if we wanted to go that route. Since Azerbaijan was our original country of choice, we both took this as a sign from God and decided to give it a try. A major factor was that Azerbaijan only required one trip for about a week to bring the baby back home. The referral was done through the agency with pictures and medical information. On June 22, 2000 we sent our letter to the officials of Azerbaijan requesting their approval to adopt an infant. Of course, a whole slew of other paperwork had to be completed or amended to reflect the change of countries, but we’d been through this before so it was familiar territory. On July 31, 2000 we accepted a referral for an 8 month-old baby boy. We were told that it should take 6-8 weeks or so for the court date, meaning a travel date sometime in late September or early October 2000. So, after the heartbreak of our Rostov trip and some lost time, we were back in business and again began thinking it won’t be long now! August came and went. As did September. We busied ourselves fixing up the baby’s room. The walls were painted, the crib assembled, infant clothes filled the closet and dresser. October also came and went. We had a vacation trip scheduled in November 2000 but cancelled it because we were sure that we would be traveling to pick up our son. Throughout the fall of 2000 we’d received pictures of our son and shared them with our families. Everyone was getting used to his sweet face and large, dark eyes. It won’t be long now! November came and went and now we were in the first week of December 2000. We had been ready to travel at a moment’s notice since September! December 4, 2000- A day that will live in infamy for us- we are told that moments before the judge was to sign our adoption decree, the baby’s mother appeared at the court to claim him from the orphanage. She had not intended to abandon him or release him for adoption. Our adoption, needless to say, was not granted. A huge setback! What else could go wrong? Why were we so very unlucky in our attempts to adopt a child? What message was God trying to send us now? Were we meant to have a baby? All these thoughts ran through our heads. We cried, we hugged, we reaffirmed our desire to have a child in our house and asked Reaching Out to send us another referral as soon as possible. We received referrals for two infant boys that same evening. This was odd. We’d never received multiple referrals before. We requested some additional medical information for both babies to help us make our decision. We hoped that we could get the medical information quickly, and accept one of the referrals in time to join the other two families traveling to Azerbaijan in mid-January 2001. Such was not the case. The information took too long to get back to us and we missed the deadline for that first trip. But something more miraculous happened. We now had two referrals for two healthy (relatively-speaking) baby boys. They were both adorable. How could we possibly decide between the two? It was then that we decided that we could not make a choice. We decided that we would accept the referrals for both boys. They needed someone to love them, take care of them, and give them the family they didn’t have. We were the ones to do that. We accepted the referrals on January 11, 2001 and waited for the next step- the trip to Azerbaijan to pick them both up. It won’t be long now! The first 2 families went to Azerbaijan and came back with their children within a week’s time. It was the beginning of February 2001 and we were told that we should be traveling within three week’s time. At last, light at the end of the tunnel. We still had a few things to attend to, such as getting a second of everything- crib, stroller, car seat, etc. We busied ourselves to make ready for two sons in our lives. March 2001 came and went. Ditto April 2001. What happened to “three weeks”? To quote Yogi Berra, “It’s deja-vu all over again”! We had, again, been ready to travel at a moment’s notice for 3 months. Reaching Out informed us that the international adoption laws in Azerbaijan had changed twice in the time since the first two families traveled and adopted in late January. We now had to travel twice to Azerbaijan. The first trip to meet with the judge and get the adoption decree signed. Then we had to wait 30 days from the date of the adoption decree before we could take our children out of Azerbaijan (and home to the United States). It’s going to take longer than we thought! On June 9, 2001, 13 months since our first trip to Russia and nearly 22 months since we started the process, we found ourselves once again on a plane from JFK to Moscow. This time, we were finally going to meet the children whose referrals we had accepted way back in January 2001. On June 11, 2001, we met our soon-to-be sons for the very first time. They are beautiful, happy, affectionate boys. 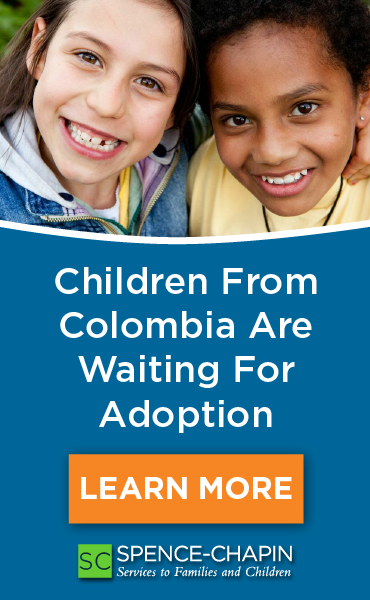 On June 12th, the judge signed the adoption decree. We spent 4 days with them, feeding them, playing with them, and generally getting to know them. We left them on June 14th, amid tears and with heavy hearts. We’d just begun to bond with our boys and now we had to leave them and come home for the long thirty-day waiting period. 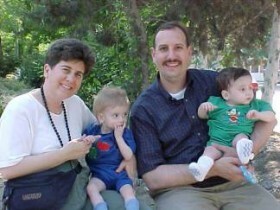 By the time you read this, we will have made our second trip to Azerbaijan and brought our two sons, Paul (20 mos.) and Daniel (18 mos. ), home with us. Of our experiences we can only say that all’s well that ends well. And while it took longer than we thought, we finally completed our journey. We endured much more than most other adoptive parents had to go through. To everyone that had a smooth, uneventful, and relatively short adoption process, we congratulate you and are so very envious! But for us, this long, emotional journey was God’s way of helping us prove to ourselves how very much we wanted to be blessed with children of our own, and how much love we have to share with them and each other. Like a difficult pregnancy and a tough delivery, our arduous experience will only serve to remind us how much we wanted our boys and appreciate them all the more, even when they’re not on their best behavior! One final thought- with all the obstacles that we faced, all the uncertainty that arose and the emotions that ran the gamut from joy to sorrow to frustration to anger to desperation and then back to the unparalleled joy we now have, we were never alone. There was always someone there to encourage us, empathize with us, and help us along the path. Whether it was one of the other adoptive families, or Reaching Out , or our own family and friends and, of course, each other, God made sure that someone was there at each turn to help us shoulder the load and persevere. God bless all of you who have lived our story first-hand and have been there to provide the love and support that we needed. Our sons will be truly blessed with such wonderful friends and family. For everyone else reading about our trials and tribulations, please remain strong in your conviction to adopt a child. Your child is out there, somewhere, waiting for you. It just may take a bit more time and effort to find them than you originally thought. Don’t give up your search because at the end of it all, you will have the most marvelous blessing you could ever imagine, parenthood!